Library Chair Barbara Genco scored another home run with this year’s featured speaker, Deborah Solomon, Arts Critic for the New York Times and WNYC. An SRO turnout of 80+ members and guests were treated to dinner and Ms. Solomon’s talk about her new book, “American Mirror: The Life and Art of Norman Rockwell”. 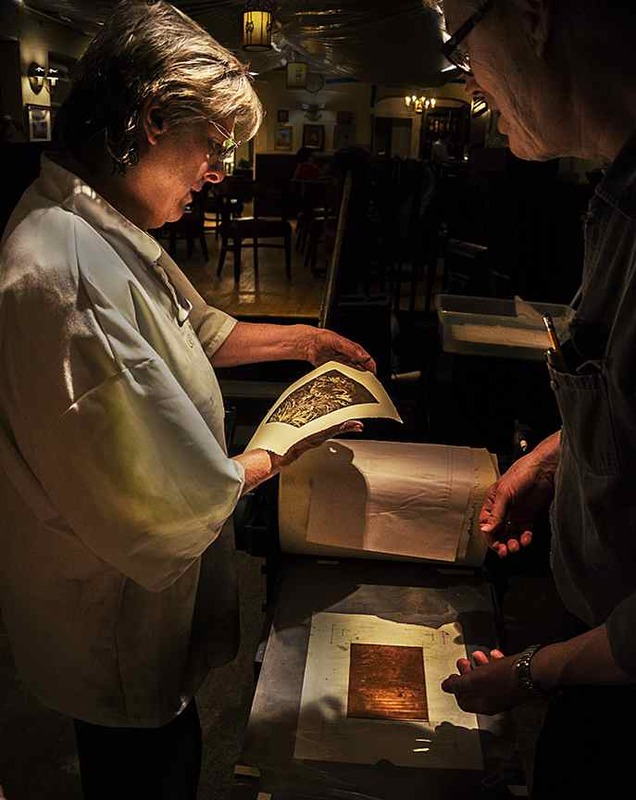 Proceeds from the dinner are used by the Library Committee to preserve the extraordinary reference works that reside in our photogenic second floor library. 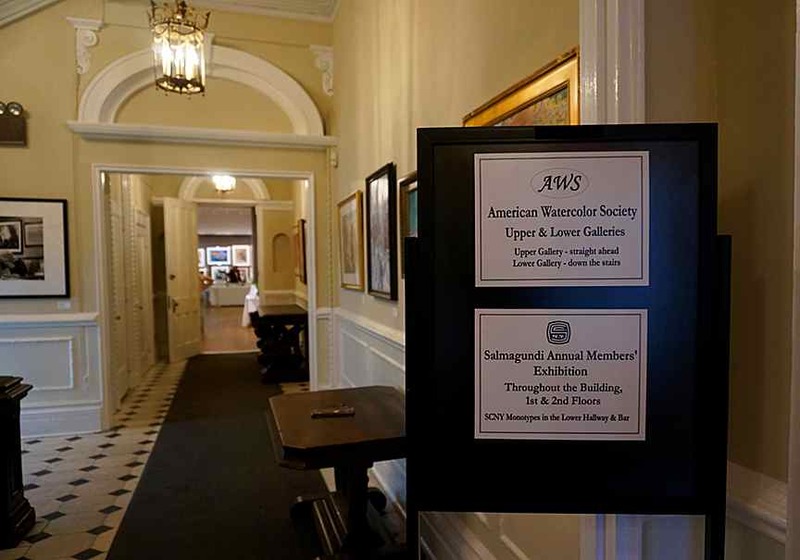 Not only was April 1st the date of the opening reception for the American Watercolor Society’s Annual Exhibition at Salmagundi, it was the official opening day of our new gallery. Naturally, Tony Almeida was there to record the festivities for all to see and to capture many of the never before seen features of our premier exhibition space. 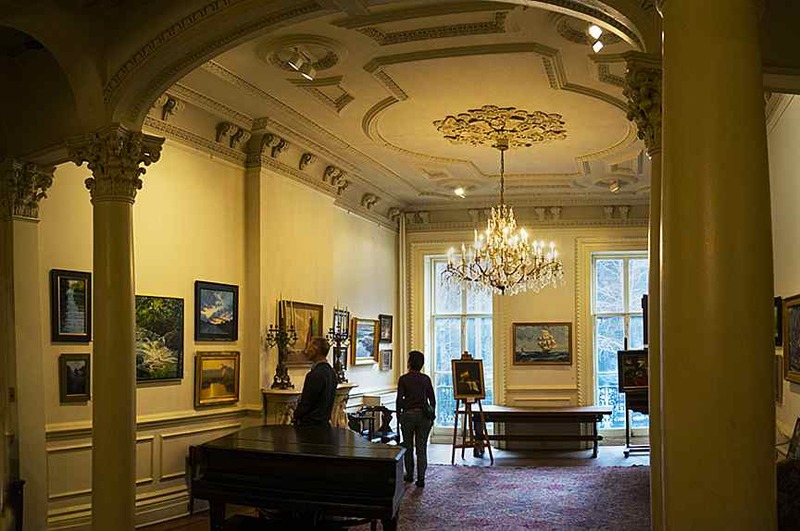 In a once-in-a-generation aberration, due to construction delays the 2014 Annual Members Exhibition was hung throughout the public rooms of the mansion rather than the upper and lower galleries, which were occupied by the American Watercolor Society’s annual show. The result was in a word, spectacular. From the dining room level hallway and bar to the main floor hallway and parlor; to the second floor hallway, Patrons Gallery and library and stretching up toward the third floor, the work of our current members graced our clubhouse as never before. For most, this event was also the first chance to see the completed “new” upper gallery. 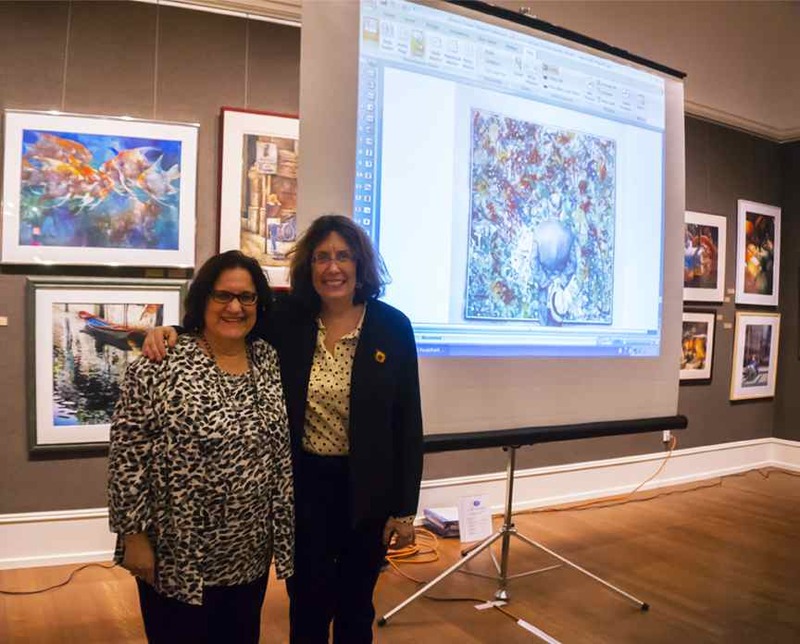 Once again, Salmagundi’s monthly Monotype Party drew an enthusiastic crowd of participants and spectators. Click on first thumbnail to open full view and use keyboard or rollover arrows to navigate.